Correction: A previous version of this story stated Lord was nominated as the principal deputy at AT&L, but the position is the undersecretary at AT&L. WASHINGTON — The White House announced Tuesday its intent to nominate Ellen Lord, the CEO of Textron Systems, as the undersecretary of defense for acquisition, technology and logistics. The nomination, once formally made, will fill a major gap in Secretary of Defense Jim Mattis' acquisition team. Both the undersecretary and deputy roles have been vacant of political appointees since the inauguration. Lord has held her current role as head of the systems business, which focuses on items such as unmanned systems, ground vehicles, weapons and training, since Oct. 2012. She previously spent time in a number of roles with Textron, the eighteenth-largest defense contractor in the world, according to the annual Defense News Top 100 list. During that time, Lord has also been a vocal critic of the current Foreign Military Sales system, saying that the time frame needed to clear equipment sales is forcing allies to turn to competitors such as China, particularly when it comes to unmanned systems. There are several notable wrinkles to Lord's nomination, however. The first is that the office of AT&L is set to devolve into two new entities come Feb. 1. The first, the undersecretary of research and engineering, would focus primarily on developing new concepts and technology, while the undersecretary of acquisition and sustainment would focus on keeping current acquisition programs on track. The intention of Congress was that the AT&L undersecretary would take the R&E role, but details of that position are still being filled out inside the Pentagon. Congress will have final say on what the responsibilities of that job will be. It is also possible that Mattis' team could decide Lord's skill set would be a better fit for the A&S job rather than the R&E job and attempt to navigate her in that direction. Regardless of where she ends up, it is unlikely Lord would accept this position if she was not confident she would have a spot at the Pentagon come February. Another wrinkle comes from the fact Sen. John McCain, R-Ariz., made clear his displeasure at bringing in executives from top defense firms during a hearing last Tuesday for Patrick Shanahan, a Boeing executive nominated to serve as deputy secretary of defense. While McCain singled out his concern with having executives from the "big five" defense firms taking top DoD jobs, there are indications that extends to anyone from the industry coming into the Pentagon. He could act to hold up Lord's nomination, or at least make the already difficult confirmation process drag on even longer, if those concerns linger. This leads to another question — what recusals Lord will have to make in her new role, if confirmed. 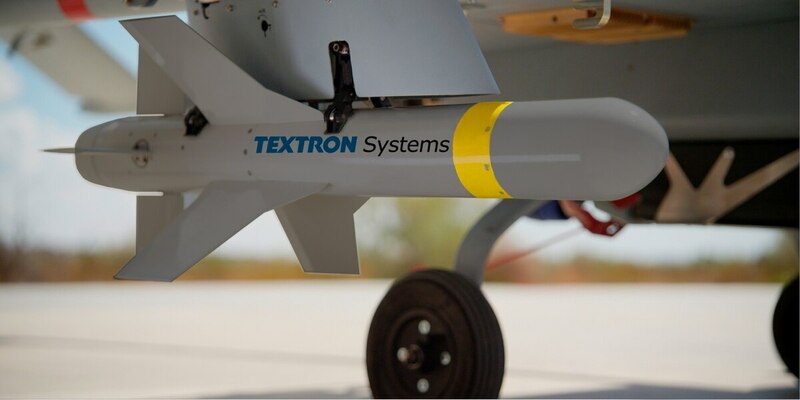 Textron Systems, and its parent company, do significant business with the Pentagon, and Lord will have to consult with ethics advisers on how best to make sure she does not breech any regulations when weighing in on competitions her current employers may be participating in.